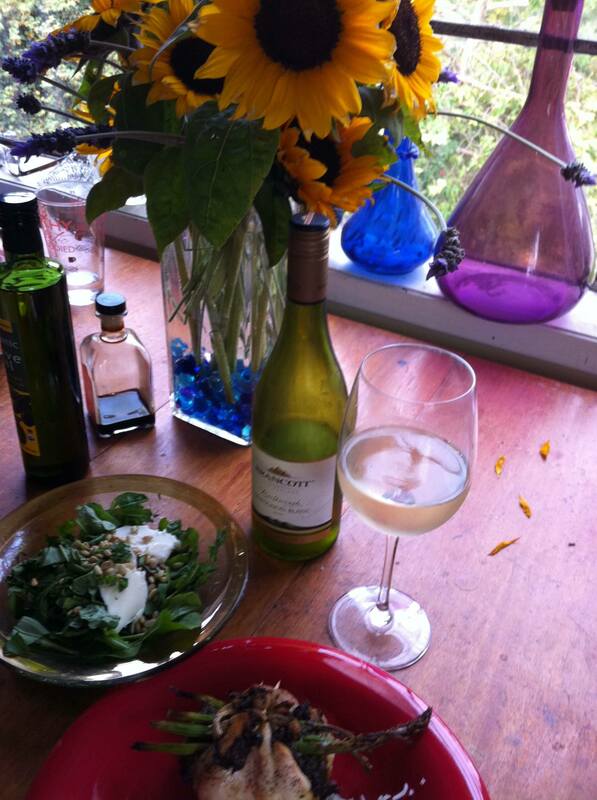 For Sauvignon Blanc Day, we enjoyed a 2009 Brancott Sauvignon Blanc from Marlborough, New Zealand. Lots of lovely acidity and citrus, grapefruit, lime, lemon, a hit of white peach and nectarine, a screw top, and reasonable 12.5% alcohol.Widely available at a grocery store or restaurant near you for under $15; I found it on clearance for $7. I opened it on Wednesday and it was still in great shape by Friday. I’m especially fond of this wine with arugala pesto so in honor of Sauvignon Blanc Day, my husband stuffed then grilled organic chicken breasts with oyster mushrooms, asparagus and my homemade arugala, rosemary and basil pesto with pine nuts and organic olive oil. On the side, I prepared a salad of organic arugala, basil, and cherokee tomatoes, all fresh from the farmers market, with fresh mozzarella and pine nuts. They all played well together! Tickets are still available day of/at the door $95. The Santa Barbara Museum of Natural History is a wonderful venue and a chance to mix it up with the beautiful people of Santa Barbara for a good cause–my son and another mom and her two boys were just up there a month ago to see the butterflies, the exhibits, the creek, and the raptors in rehab. The 70 Central Coast premier wineries and restaurants presenting savory and sweet delectable delights are all top notch. This is one classy event! Read more about The Santa Barbara Wine Festival at the SB Museum of Natural History on their blog. We were going to be out of town so I didn’t get myself a ticket–now we’re going to be here and I have to admit that, as much as I’d like to go, $95 is out of this Wine Predator’s budget!